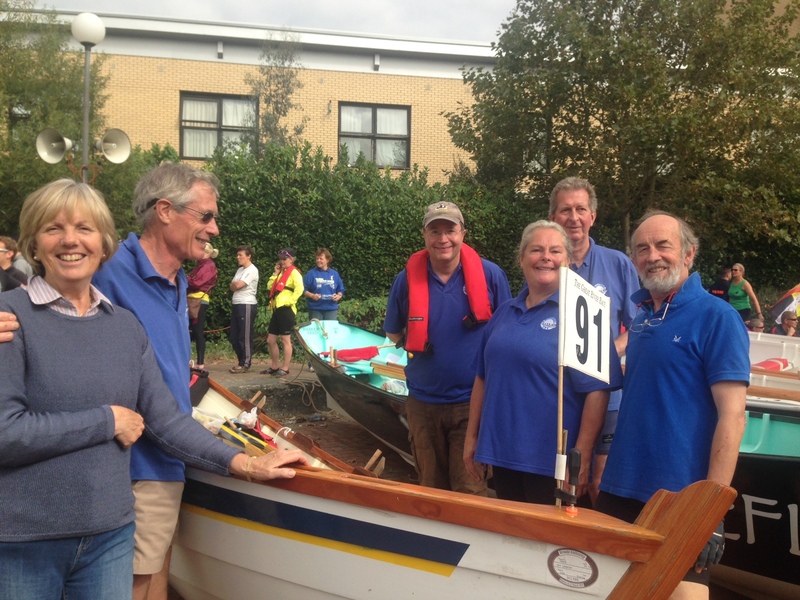 The Hoi Larntan team all smiles before the start at Westferry Rd in the Millwall dock area of East London They were weary but still smiling at the finish (103rd out of 323 starters) in leafy Surrey after 2 hours 53 minutes and 19 seconds rowing! – (see below). Bluejacket and her team followed them in some 6 minutes later. 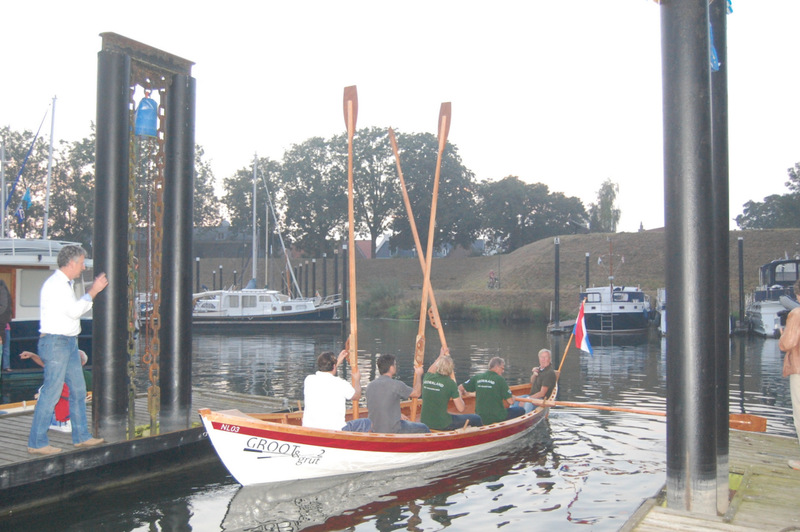 Congratulations to the top Dutch crew in their new boat “GROOT & grut 2” who came home in 34th position taking 2 hours 41 minutes and 38 seconds! 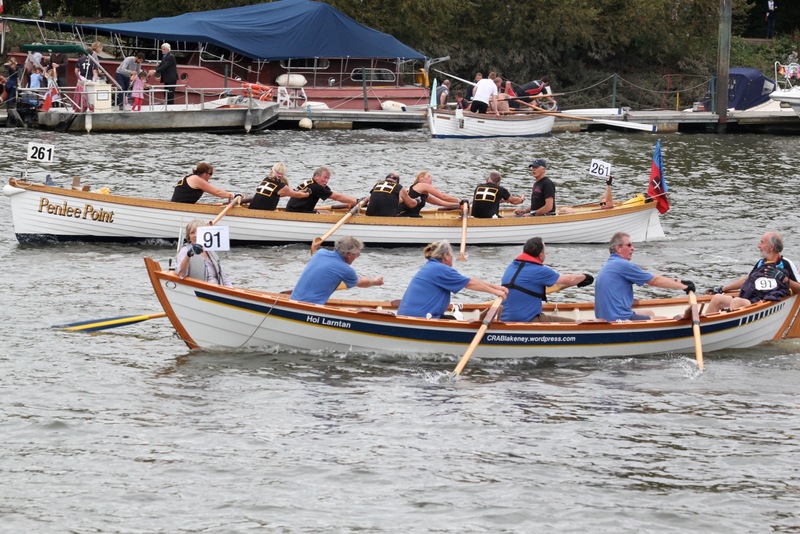 We hear that both our boats completed the 21 miles in under 3 hours – well done to both crews. Photos courtesy of Tom’s daughter Esther – thanks. 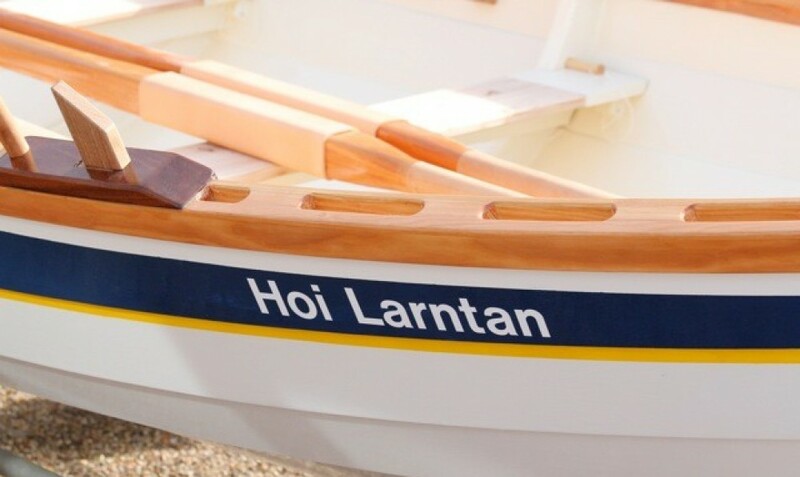 Hoi Larntan going well as she passes London Bridge on Saturday 27 September. Times and results not yet in, but more pictures to follow soon. Many thanks to Andrew Riley for the great photo. 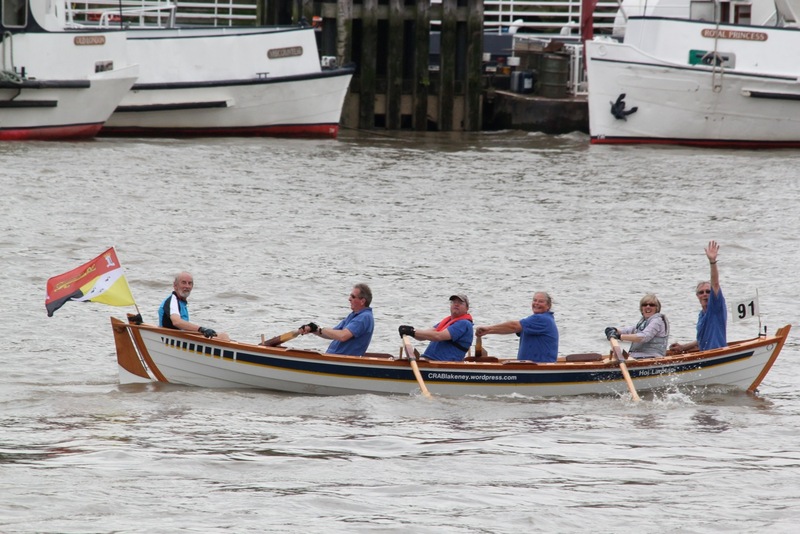 An idea of the kit we take to row a mere 21 miles up the Thames from below Tower Bridge to Ham at Richmond – with some 300 other fixed seat rowing boats from all over the world. 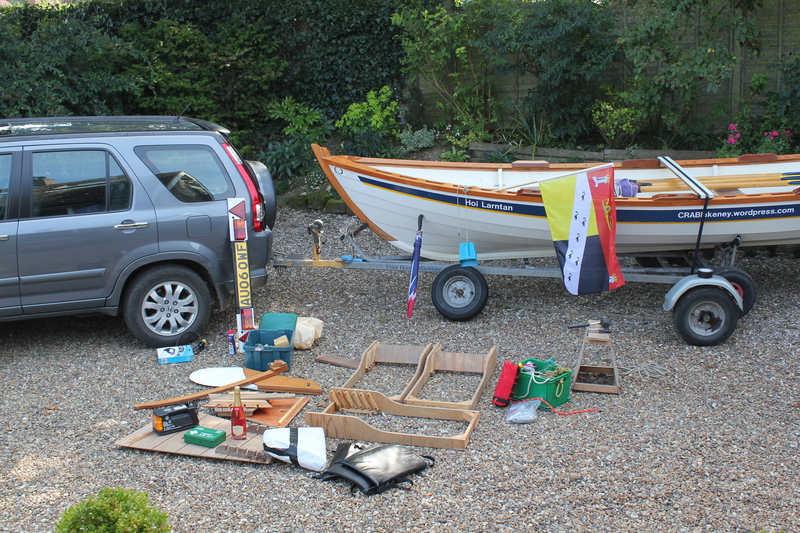 The 100th St Ayles skiff is built and in the water. Our Dutch friends at Woudrichem have just launched ‘GROOT & grut 2’. 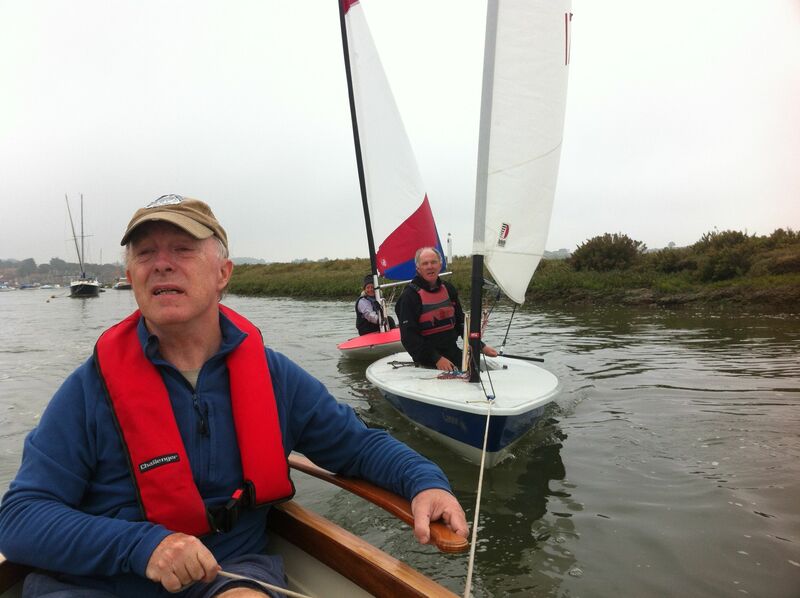 Their earlier boat ‘G & g 1’ has been out regularly since coming back from a summer tour of Scotland this year and the team are now practising hard for the Great River Race on the Thames next week. No doubt aiming for revenge on our comfortable win over them in last year’s race. 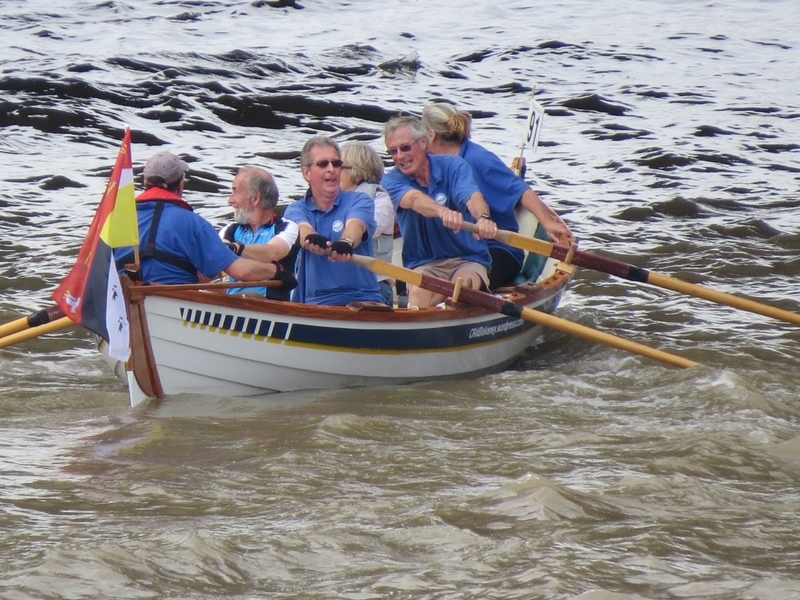 If you don’t already visit it, can I recommend the SCRA official site http://www.scottishcoastalrowing.org which is where you can see this picture and the rest of the stories of St Ayles skiffs worldwide. You might even learn about Dwarsbongel too! 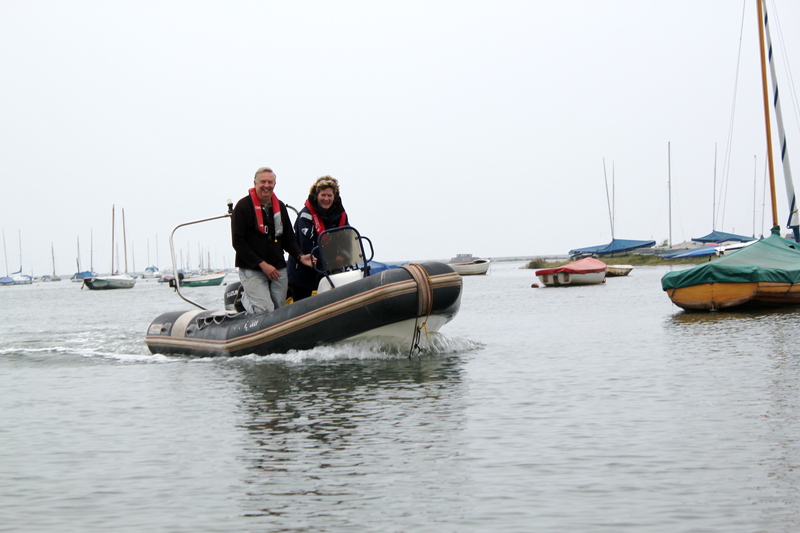 Just to show the camaraderie among sailors and rowers – here Bluejacket offers a tow to immediate past Commodore Joe and wife Betty on a day when the wind was best described as a strong calm. 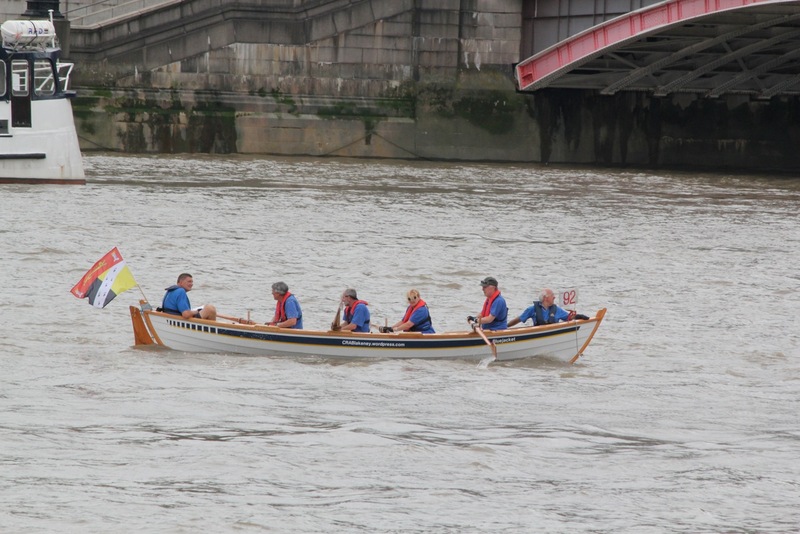 Well done to Jenny and Rob Dunster, Chrissie Hill and Alan Collett who pulled the oars and Barry bravely coxing. 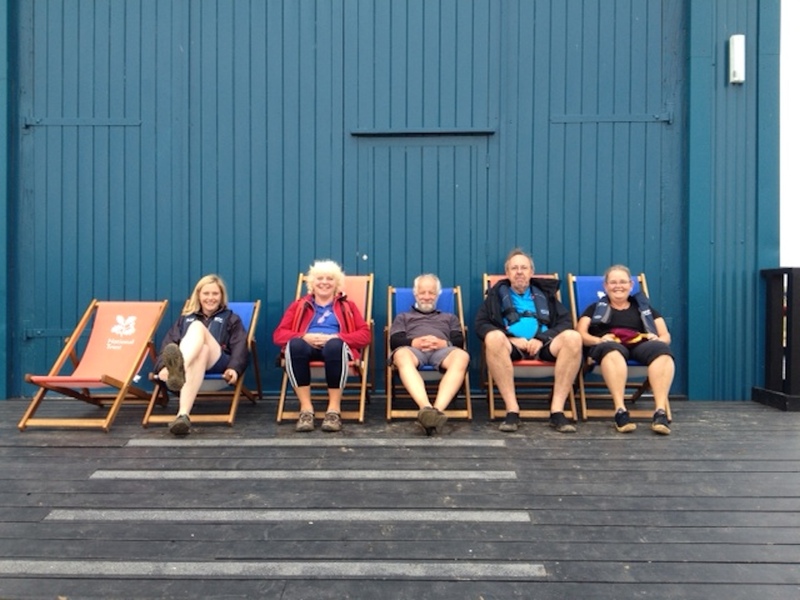 With the other boat engaged in some serious training for the Great River Race on the Thames in two weeks’ time, this fine cross section of our less competitive rowing community took time out to reflect on their achievement of rowing across the Pit at Blakeney to the old lifeboat house. This is now soundly restored by the National Trust as the Blakeney Point information centre. 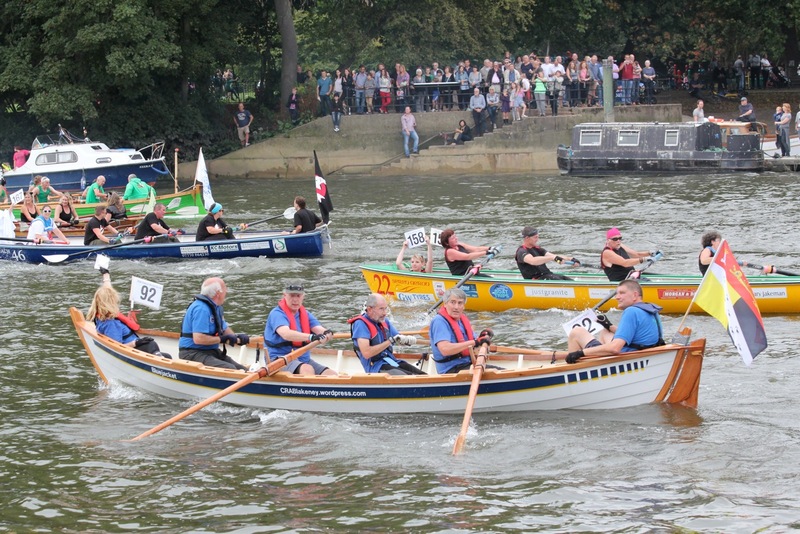 Indeed, the picture comes from Victoria, a National Trust warden who is seated on the left, and has recently become one of our rowers.